Searching for the best wine storage Bronx facilities? Look no further than Moishe’s Self storage. We know that over time, there have been many companies attempting to be the best wine storage in Bronx. But not many can compare to our affordable, secure and meticulously monitored units. We make sure to always manage our facilities and the storage rooms as if our company depended on it, because to us, it does. So if you’re looking for wine storage Bronx facilities that are reliable and affordable, call us today. Over the past four decades, we’ve brought our facilities up to the standards of a luxury wine storage company. This is because we’ve always believed that a storage company should be able to meet the needs of our clients. This includes fine arts, wine, and much more. Whether it’s dorm room furniture or a 200-year-old bottle of Merlot, there’s a unit at Moishe’s Self Storage for it. The best way to store your property is always at Moishe’s. In the field of wine storage, Bronx residents have a variety of storage needs. As a result, Moishe’s Self Storage has many specific features. We maintain and monitor every facility routinely, as the safety and cleanliness of our storage units is a major priority to us. In addition we also offer around-the-clock security patrols and closed-circuit monitoring. The main reason that we offer these services for free is just to extend the trust our customers give us because we believe that they deserve the best. New York City boasts the widest variety of characters in the country, there is no doubt about it. This unfortunately means that there are a few people looking for a place to sleep or for items to steal and sell. Moishe’s furniture storage ensures that intruders cannot come close to your unit, making us among the most secure facilities available in NYC. 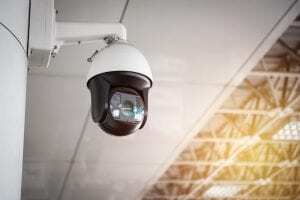 We utilize 24/7 CCTV recording, security checkpoints, burglar alarms, motion detection, and more. Your wine will be more safe than ever before. You can contact us by phone or online. Call (800) 536-6564 to speak directly with a storage advisor or reserve your storage unit online. 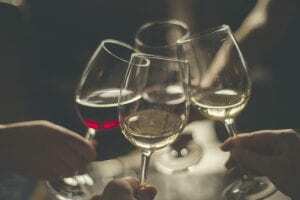 You can find the best deals for wine storage Bronx as well as self storage units near me at Moishe’s Self Storage today. New Yorkers love wine, and the Bronx is no exception. With the amazing cultural span of the Bronx, New York has become a world class destination for wine. 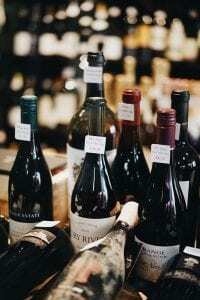 With so many customers, wine stock and therein storage must increase. With Moishe’s Self Storage, we make sure that we maintain our climate-controlled wine storage to the highest level. If you’re looking for a Wine Storage Facility in Bronx, we’ve got you covered. The astounding storage capability we have extends to our storage facility in the Bronx. Many of our customers use our wine storage facility for their own personal collection as well. Whatever your wine storage needs, we have a storage unit for you. While we have a long history of providing all types of storage to New Yorkers, we have specialized units specifically made to handle the conditions wine storage requires. While it may be a simple case of a chilled room with some wine shelving in some instances, in others it is not. The consistent high quality of our wine storage facilities is what allows us to confidently store all types of wine. Our storage advisors are professionally trained to be able to handle whatever storage requests are thrown at them. This all begins at the base level of quality that we offer to every storage customer. First, we ensure every storage unit is climate controlled and handled with the utmost care. Moishe’s Bronx wine storage facilities have never been a part of the bed bug storage fiascos, and we intend to stay that way. So, when you rent with Moishe’s, you rent with professionals. When a customer decides to start renting wine storage in Moishe’s facilities we ensure that our storage advisors ask a series of questions that inform the specifications of the storage units used to store the wine. The last thing that we would do at Moishe’s is throw every type of wine into a generic climate control facility. If you require specialized storage, we’ve got you covered. At times, the wine storage needed is not extremely specialized. These cases are not an issue for our facilities either, as affordability is a main tenet of our company. The original goal of our founder was to provide storage for anyone in New York City that needed it, and that goal still stands today. We make sure that once you store with Moishe’s Self Storage, you’ll always store with Moishe’s. The average length of our customers storing with us is four years, because we provide service that people trust and keep coming back to. You’ll find us through our website, where you can contact a storage advisor with your wine storage needs. Find the best storage at the best price online or over the phone at (800) 536-6564. You know you’re getting quality when you go with Moishe’s, because Moishe’s knows wine storage.